January is the most popular month of the year for people to start looking for a new job. Why? 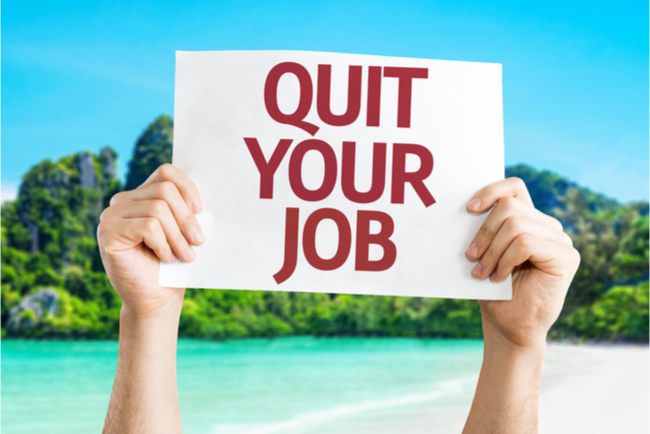 Because entering a new year motivates us to focus on reassessing our happiness level, and for many of you, this may resonate as being time to quit your job. The act itself of looking and applying for new jobs to move on to bigger and better things is an instant mood lifter and stress reliever. If your current job isn’t what you’re passionate about, you will never be happy in this role. In an ideal work environment, the people you work closely with should be supportive and inspiring. Unhappy employees and tension between co-workers create a toxic environment. If you’re simply going through the motions, you’re bored, and you aren’t learning anything new, it’s not a productive environment for you. Never let the fear of striking out keep you from playing the game. There are other jobs out there, and many of them may be offering better salaries. If you have Sunday night fear every week and hate every second you spend at work; you’re not living your best life. You need to put your happiness first.